Kpop dancers, time to show your talent! Win yourselves some really cool prizes too. One of the really cool street dance competitions in recent times, Shuddup N' Dance 2017 is back. 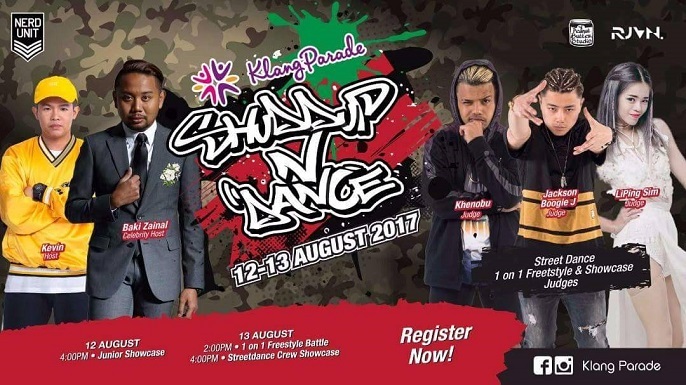 It's the final round of Shuddup N' Dance 2017 at Klang Parade before the International Grand Finals, showcasing talented dancers in Malaysia. If you are interested, read on below! Prizes for Junior Showcase segment will be presented on the day of the competition. Prizes for the SOLO and GROUP categories will only be presented at the Grand Finals in August with the other finalists. Those who cannot make it due to any unforeseen circumstances, all prizes will be forfeited.